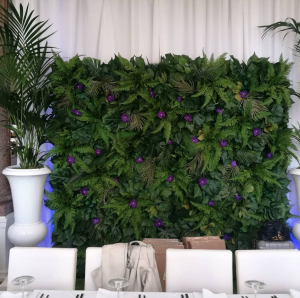 Something that is proving to be very popular for the 2018 weddings, which we are sold on, are unconventional backdrops. From geometric frames, to floral archways and to vintage wooden doors. 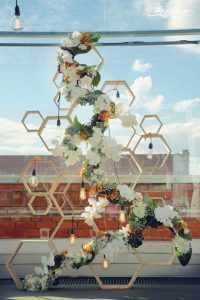 While the obvious flower walls and balloons are still as popular as ever, more people are choosing to experiment with these new and unique backdrops. Slowly drifting away from flower walls, but not too much, because who doesn’t love a flower wall? I think people are opting for more foliage and less flowers because they are much more versatile and quite frankly, just as lovely to look at as flowers. Over the years, balloons had become a cheaper substitute for dressing a room. 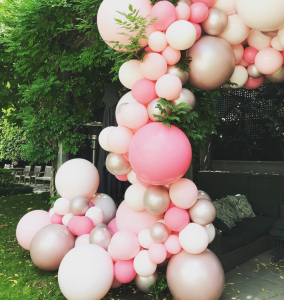 However, recently, there has become an increase in demand for balloons, with them being used in new and interesting ways (arches and backdrop clusters).